In 2010, Augusto Creni, Marco Maturo and Lucio Villani met at the Django Reinhardt International festival in Samois and spontaneously form the ORCHESTRA COCO with the clear intent of playing Manouche music, according to Lucio Villani’s style of singing and bass playing. 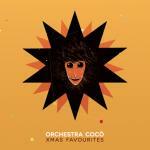 A repertoire based on songs with soft dynamics and atmospheres. The three began to perform, after the French experience, in many concerts in different Italian regions and built a vast repertoire drawing from the most sought after variety of musical genres. Starting from the tradition of Django Reinhardt down to the Italian songs of the 40’s, to Paolo Conte and Johnny Cash. At the same time a personal and captivating sound developed for this repertoire that led to an ensemble sound close to that of the Luciano Zuccheri quintet, amazing Italian guitarist of the '40s. Passepartout canzoni d'amore (love songs), the debut album of ORCHESTRA COCÒ, is a point of arrival and departure for the two guitarists (Creni e Maturo) and Villani (vocals and bass). They present in this CD songs that had been already performed in the very first concerts, yet with new and brilliant arrangements, as well as songs that during the time spent together have overwhelmingly entered the repertoire of the group. 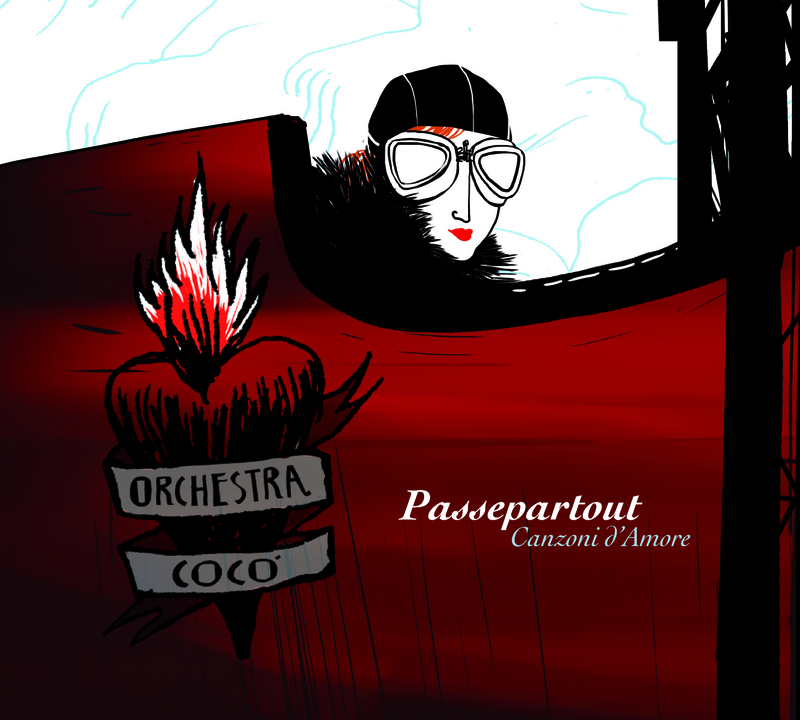 Passepartout is primarily an album of songs. Classic hits are included, as well as unknown ones, from the Italian swing and melodic repertoire, rearranged for voice, two guitars and bass. 16 tracks, a tribute to legendary, great musicians. From Norma Bruni to Natalino Otto, from Paolo Conte to Tom Waits. Key songs that transform the album into a story told through words, music and ideas from the beginning of the twentieth century. The first half of the century that finds its traces also in the name of the trio: Orchestra, not for the sake of grandeur but to celebrate the great orchestras of that time (those of Angelini and Barzizza) that in those years accompanied the singers who inspired the trio. COCÒ as homage to Mimi and Cocò, characters linked to a past that we still can find in today’s idiomatic expressions, just as the music played and sung in Passepartout got to our days and thanks to the record it will be enjoyed and danced in our minds. Past and future mingle to avoid walking too closely into the steps of those who preceded them. It is enough to listen to some performances to understand how strong the concept of translating the tradition is, in order to bring it out in the years to come. Trust and privacy sought by the three components and that generates the listening to this disc, drag us into moments of irony, making us smile for stereotypes of songs like La Macchina ce l'hai, Che si fa con le Fanciulle, echoes of an era that draws us to his polite bluntness. At the same time there is a deep feeling listening to Tu che mi fai piangere or to the poignant Nebbia. Sharp lyrics leading us to a intimate pondering are there as well, as in the track La Pecora di Panurge the Italian translation of a song by Brassens. Of course women are very present on the recording: Wanda, Martha (sung in English) and the unforgettable Maria Gilberta which opens the album. Finally for children, as well as for those young at heart: A zonzo and Petite Homme c'est l'Heure de Faire Dodo, the lullaby closing the album, waiting to be listened.